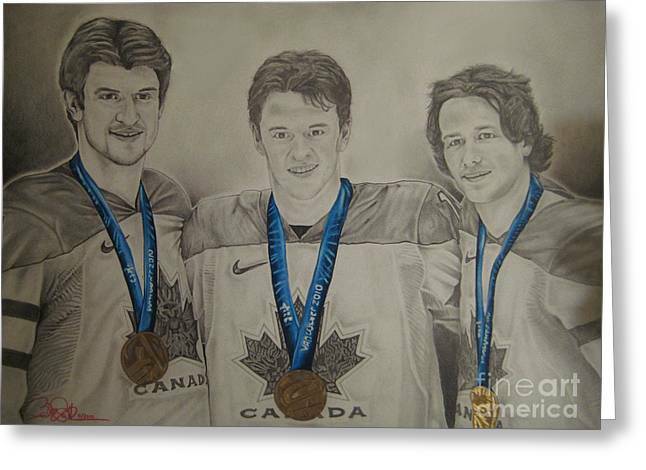 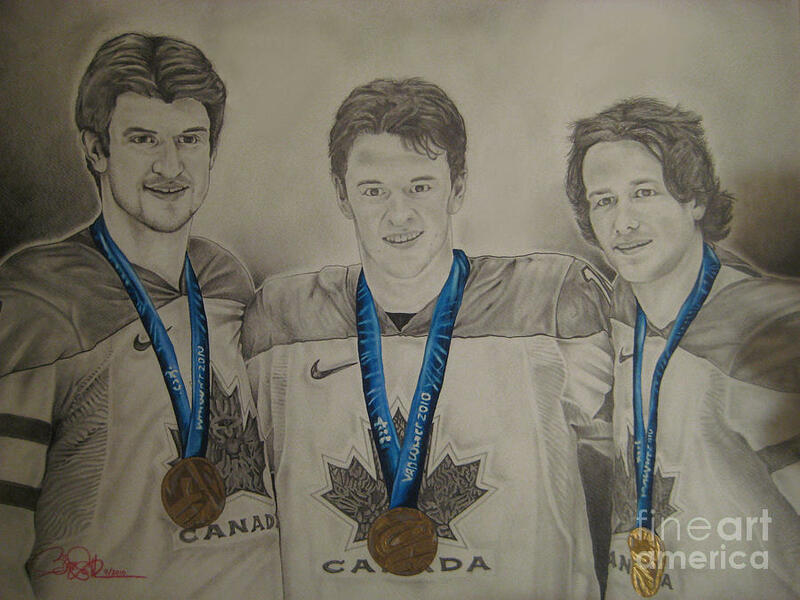 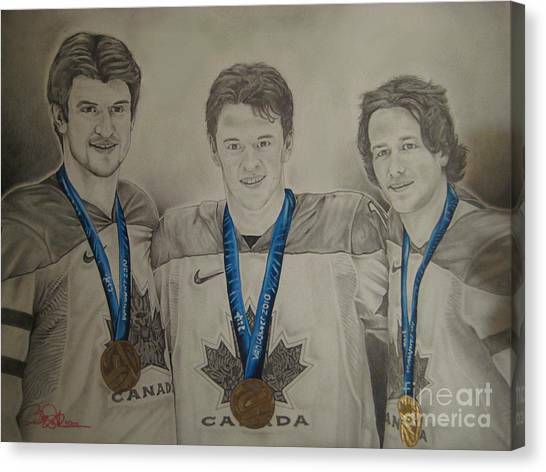 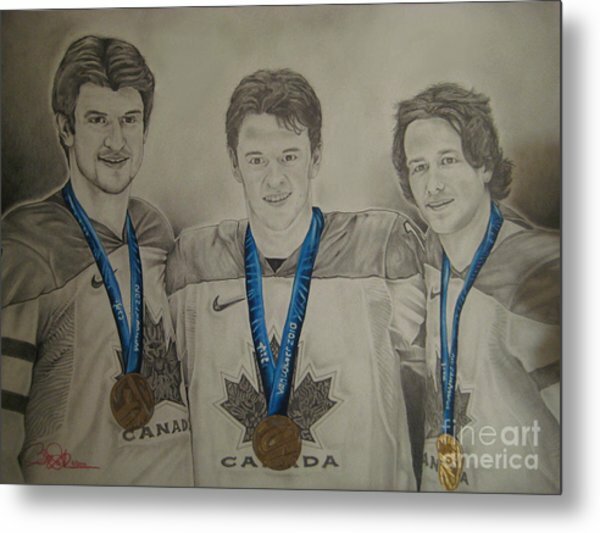 Seabrook Toews Keith Gold Medal is a drawing by Brian Schuster which was uploaded on October 6th, 2010. 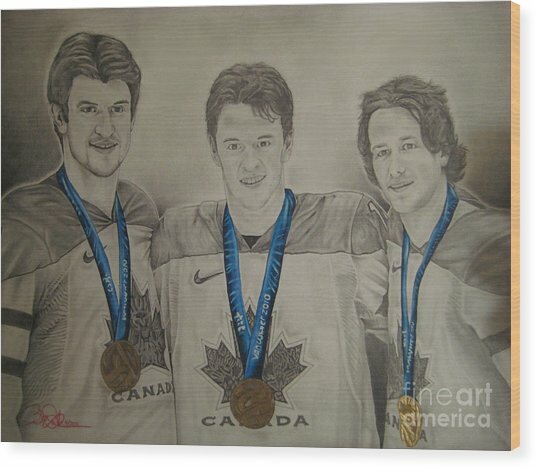 Reproduction of a photo after Canada's win of the gold medal in the 2010 Vancouver Olympics. 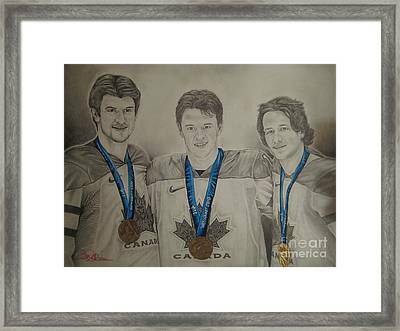 Original features authentic autographs from each player, prints/reproductions do not. There are no comments for Seabrook Toews Keith Gold Medal. Click here to post the first comment.